Riviera Nayarit, on Mexico’s Pacific coast, fulfills the dreams of the perfect winter vacation – great things to do, fun for everyone no matter how young or old and outstanding value for money spent. Who could ask for anything more? For starters, there are almost 200 miles of beaches, fishing villages, and seaside hotels and resorts. Then there are whale watches, swimming with dolphins and sea lions, water slides and marine shows, bird watching and even baby sea turtle releases. Boogie boards, surfing, windsurfing, wave runners, parasailing, snorkeling and Scuba diving are other watery options. For land adventures the choices include jungle hikes, canopy zip lines, horseback riding and ATV tours. 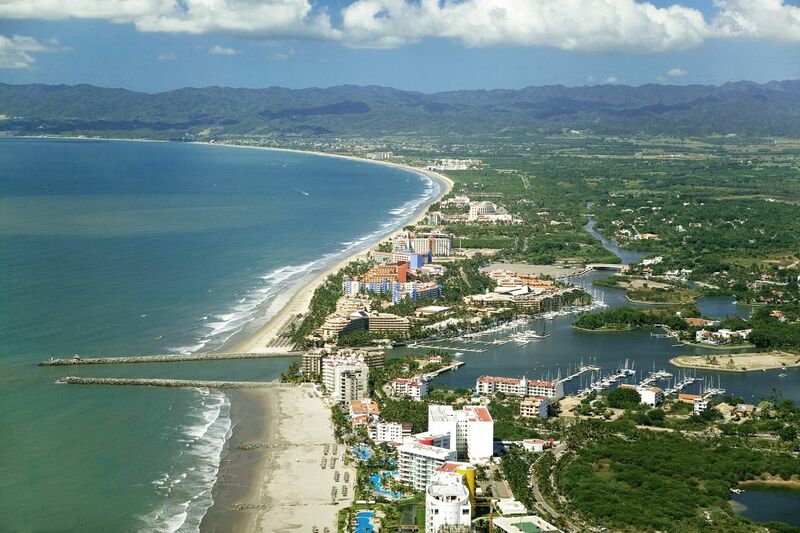 But, what puts Riviera Nayarit at the top of the list is value. • Villa Bella Bed & Breakfast offers the “Romance, Sun & Relax” Package including suite with Bay view or kitchenette, romantic dinner for 2 at Frascati Ristorante, full made to order breakfast served at the pool terrace from 179 USD per suite per night. • St. Regis deal for Luxury Holidays includes a 7th night free promotion, daily breakfast for two at Sea Breeze or Las Marietas restaurant, up to two children under 17 years old stay free when sharing the room with their parents, signature Butler service, compliementary Kids Club and daily activities program from 430 USD per room per night. • Holidays Special at La Tranquila Breath Taking Resort offers Ocean Front Suite for 2 adults, includes one king size bed, Bose audio system, jacuzzi, double shower, dresser room, 2 TVs and a terrace with a plunge pool from 500 USD per room per night plus taxes. Also the Suite Serena, a large unit including 2 bedrooms (1 ks and twin beds) with maximum capacity four adult 1,028 USD per room per night plus taxes. • Save up to 45 % when booking your 2013 winter vacations at Marival Resort & Suites All Inclusive or Marival Residences & World SPA. The longer you stay, the more you save. • Rancho Banderas All Suites Punta Mita also has big savings for early Winter bookings. Discounts can get up to 30% off. • Riu Palace Pacífico, Riu Jalisco and Riu Vallarta offer 20 % discount applied rate at Flamingo´s Golf and 35 USD credit per person, per stay on massages of 80 minutes Renova combination. • At Villa del Palmar Flamingos Beach Resort & SPA “Your History Start Here” package includes Deluxe Estudio with kitchenette, balcony, two double beds or 1 king bed with ocean view from 285 USD plus taxes. • Villa La Estancia Beach Resort & SPA “Your Home By The Sea” special offers Deluxe Estudio with kitchenette, balcony, two double beds or with ocean view from 403 USD plus taxes.